Planning your Twitter content strategy for maximum exposure and engagement is a substantial task, even for the most seasoned content professional. Luckily, data is available that can greatly help in the planning process by providing valuable insight into your own Twitter account, your followers, and the Twitter community as a whole. 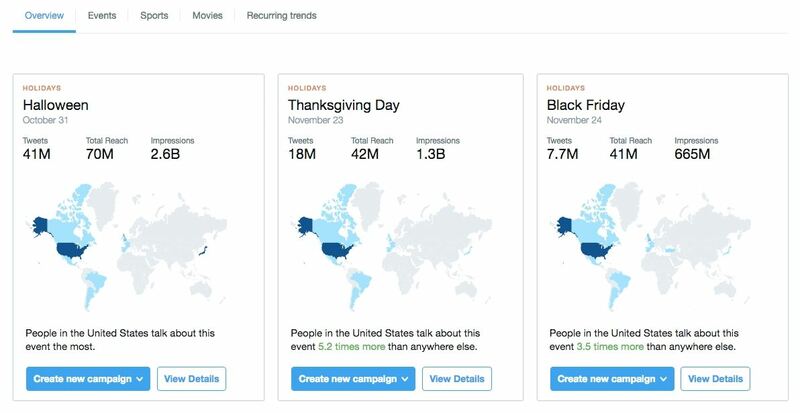 Twitter Analytics provides a wealth of information that can help you craft the best possible Tweets not only to tell your brand story but also to deliver meaningful and useful content to your target audience. 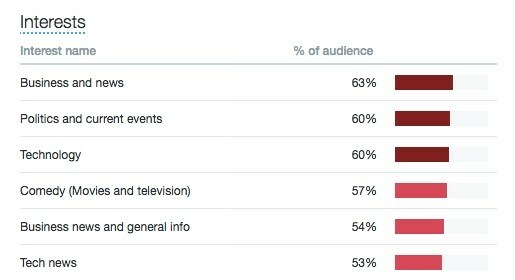 Want to know what your followers are interested in, what their professions are, and what they're purchasing? Look no further than the audience insights dashboard, where you'll essentially find a profile of your followers, including interests, occupation, gender, education and marital status, and buying style. You likely know who your target audience is, but do your Twitter followers match that audience profile? If not, you may need to rethink your audience and your content strategy to better serve your current following; conversely, you may need to consider running an ad campaign to gain more targeted followers. For example, if you're a premium brand and only a very small percentage of your followers purchase premium brands, you probably need to refocus your efforts. Similarly, if you're constantly Tweeting about weddings, but very few of your followers have an interest in that topic, your content may need a new angle. All the information available on your followers is also available for all of Twitter, as well as select audience groups. You can compare your followers with different personas, demographics, interests, and consumer behaviors to see how your audience measures up. The Tweets section also shows your tweets engagement, or the number of interactions your tweet has received, as well as the engagement rate (number of engagements divided by number of impressions). If your tweets are receiving very little engagement, you may want to rethink your subject matter and format; for instance, you may want to add photo or video to your content mix, which tends to generate more engagement. In the Followers dashboard, you can track how your following has increased over the previous 30 days and how many new followers you've received per day. If you notice that on a particular day you either gained or lost a substantial number of followers, check what you tweeted that day; you'll likely gain insight into the cause of the increase or decrease. To gain engaged new followers, you might also consider running follower ads. Discover upcoming holidays, events, and recurring trends, and find out who's tweeting about them. Doing so is a great way to find potential new content ideas, as well as conversations you can join. If you're using video as part of your content strategy (and you should be! ), you can track your video views, as well see a bigger picture of how people are responding to your videos. For instance, are they watching it to completion? If you want to fine-tune your Twitter strategy, spending some time understanding your Twitter Analytics is the right way to start. Read more about using Twitter analytics on the Twitter Business blog. Twitter Business is your resource for tips, news, and how-tos that help you promote your brand on Twitter. Have questions about Twitter Ads? Tweet @TwitterAdsHelp.